My brother is a successful plumber. He told me to come work with him. By the time I pay off my student loans, I would have been better off becoming a plumber. Is he right? With the skyrocketing cost of tuition, many students are asking the same question. Is college worth it? I will ignore the philosophical angle which asks ‘what is success’. You and others want a financial analysis. Weigh the cost of tuition loans and 4 years of lost income against the higher income a degree promises. Here are the pros and cons of attending college for your degree versus becoming a plumber. The debate over whether a college education is worth it has raged in the US since colleges began in the 17th Century. Today, there are over 44-million Americans with student loan debt. The average debt from the Class of 2016 stands at over $37,000, six-percent higher than the previous year. The primary argument against attending college centers on this colossal burden which follows many graduates around for years. Around 45% of students with debt say it wasn't worth it. The figures are depressing: roughly 60% of 2011 graduates have loan repayments that equate to 60% of their annual income. It doesn’t end there, late or missing payments often result in additional fees and lowering of credit scores. At the end of last year, around 8-million people, owing a collective $137 billion, were in default on their debts. Ongoing debt also delays many major life choices, such as buying a home, getting married and being financially independent. Dealing with your brother’s plumbing company’s issues now seems a lot more appealing, perhaps. Your brother didn't attend college, but is free from the burden of student debt. Those on the pro side would argue that graduates can earn more money. 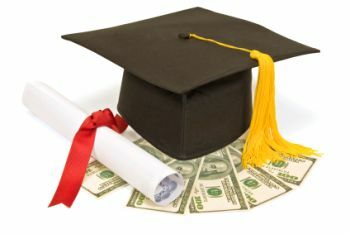 According to several studies, the average income for 25-year-olds with a college degree in 2016 was $65K compared to just $35K for those with just a high-school diploma. Plumbers are part of a skilled service in constant demand, where incomes are likely to be on the higher side for those with a high-school diploma, observes a leading manufacturer of walk-in tubs. Getting a degree does not guarantee a job that requires one. In 2012, one-out-of-three college graduates had a job that only required a high-school diploma or less. However, according to studies, 99% of job growth between 2010 and 2016 benefitted workers with degrees. According to job projections by Georgetown University, over 60% of jobs will require some kind of college degree by 2018. Being a graduate is no longer the only key to financial success, just ask your brother for confirmation. Of the 30 fastest-growing jobs this decade, only a third require a bachelor’s or graduate degree, according to Bureau of Labor Statistics. Learning a trade, such as plumbing, often requires less than four years of your life, far less expense than college, and pays higher than average wages. Trade skills will always be in demand. There are far too many people in universities. If you want to make money, be a plumber - Felix Dennis.